She is a beautiful Azimut, well maintained and equipped with the renowned Caterpillar Engines, and with a 12 Kw generator Ownan. The saloon carpet laying has been changed for a very nice light coated wood. There is of course the Azimut dishes. A new radar has been installed. This Azimut comes with the multicolor underwater lighting systems and with an automated chain flusher. That Azimut 62 is a must see! 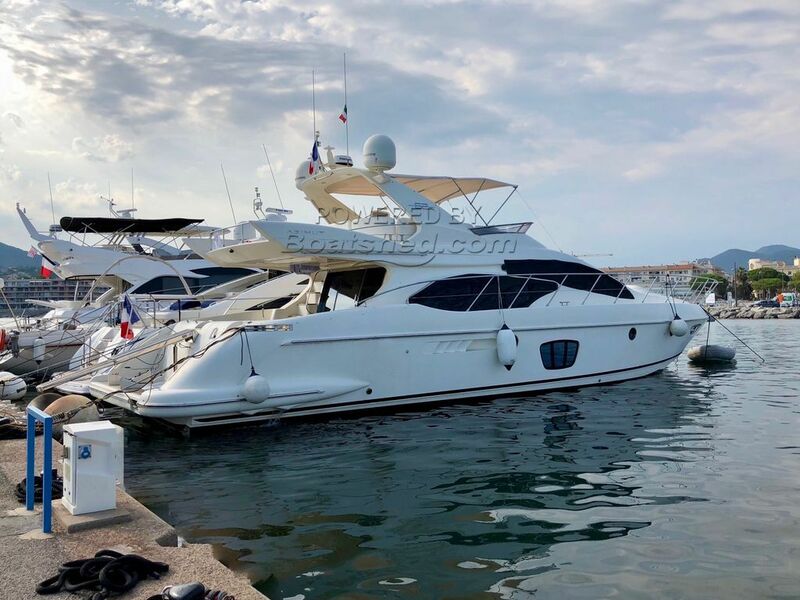 This Azimut 62 has been personally photographed and viewed by Antoine Perrin Daragon of Boatshed Riviera. Click here for contact details.